Enterprise asset management systems (AMS) work better when it sits on top of an organization-wide system of record. For utilities and telecommunications companies, that system of record is GIS. 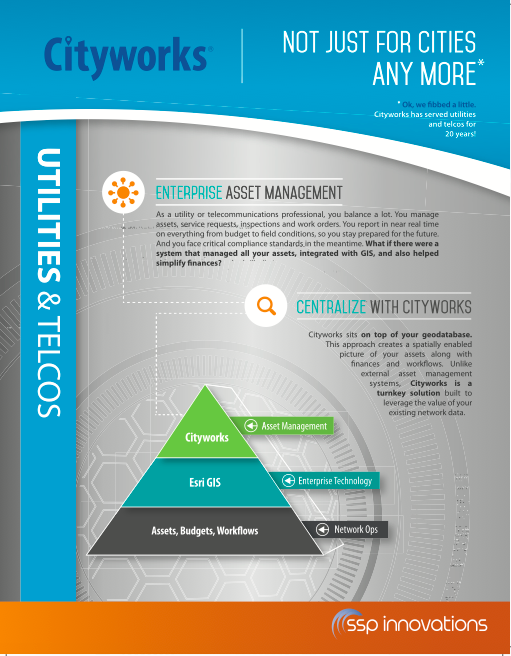 Cityworks is a turnkey AMS solution that sits directly on top of GIS, making AMS affordable, efficient and reliable for utilities and telcos. Next ArrrgGIS Roadmap to the Future of GIS!